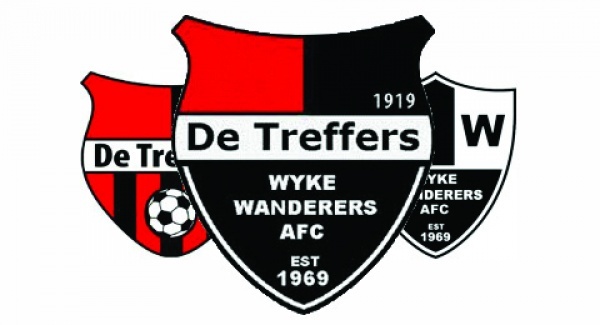 Wyke Wanderers AFC have a very successful exchange programme (www.wyketreffersexchange.nl) with a highly successful Dutch Football team, DeTreffers, who boast excellent facilities and play at a high level in the Netherlands. This involves the under 13 and under 14 teams, visiting each other over a 2 year period. For the first time also this summer (2011) the senior players also made a successful visit to De Treffers Football Club to take part in a tournament. In 1995, our Chairman, Ernie Lambert met a family of Dutch people whilst on holiday in France. Ernie was coach of the u13's at that time and Eric Harrison was the manager. The Dutch family he met were Marc and Patricia Speirings, who owned a Hair and Beauty Salon in Groesbeek. Over a few beers, Ernie talked about his and Eric’s junior football team and how they would like to take their team “into Europe”. Marc happened to be the guy who cut the hair of the Chairman of a club called DeTreffers and said he would pass on Ernie's contact details. Months later Ernie received a letter from Ton Faassen, the Chairman of the Youth Football at DeTreffers, asking how Wyke Wanderers would like to proceed with the visit. After lots of letters and long telephone calls (no internet in those days) a visit to Holland was arranged. Wyke were to travel by bus and boat to Nijmegan then follow detailed intructions to the DeTreffers Football Club (no cheap flights or sat nav in those days either). So 14 young boys and 2 leaders went to a place in Holland that they had never heard of and couldn't find on the map. They were to live with Dutch families and take part in various activities during the visit, culminating in a football tournament arranged for them against teams from Holland and Germany. The visit was a complete success, Wyke won the tournament and were presented with the "Beeker" (cup). Hoping to ensure the visit would be repeated, Eric invited De Treffers to Wyke the following year to try to win back the "Beeker"
In 1997 De Treffers had a few problems but after lots more letters and long telephone calls the visit was arranged and Jos Groenen and Arno brought the De Treffers boys to Wyke where we did our best to reciprocate the hospitality they had shown us. That year Bradford City got to the play off final, this resulted in a last minute change to the visit programme, which involved Ernie and a parent, Phil Tempest, queuing from 4am to get 60 tickets for the family stand and all the Dutch and Wyke boys went to Wembley. The visit was a success, Bradford City won promotion, Wyke retained the "Beeker" and De Treffers invited Wyke back to Holland so they could try to win it back. So the "Exchange" was established and to this day those original friendships still exist. After Wyke won the "Beeker" 3 times they were allowed to keep it, so a new trophy "The Mirror" was introduced. Eventually DeTreffers won that coveted trophy 3 times and kept it. So now we are currently playing for the "Yorkshire Clog", an idea thought up by the Lambert and Speirings families, and just recently the introduction of the "Groesbeek Broom" by De Treffers means that the under 13's have an annual trophy to play for too. But the annual trophies that are played for, whilst being coveted, are not the most important part of the Exchange, it's the experience, bonding and friendships both for the players, coaches and families that result from it. Up to present approx 460-480 Wyke players have taken part in the exchange with our Dutch friends and families, nearly 1000 in total, all of them will have special memories about the "Exchange"